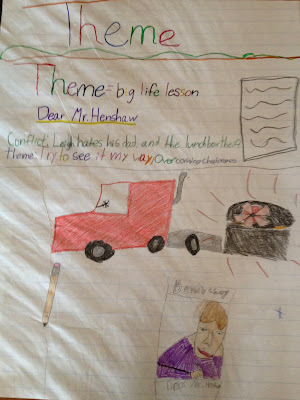 Throughout the year, there will be many lessons learned. 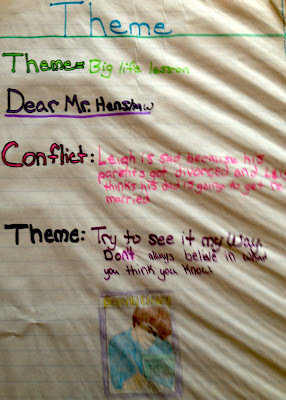 Some the easy way, and unfortunately some the hard way. All my students have just faced one of the largest life lessons in some of their lives...the move to middle school. Our year long fifth grade theme is Exploration. 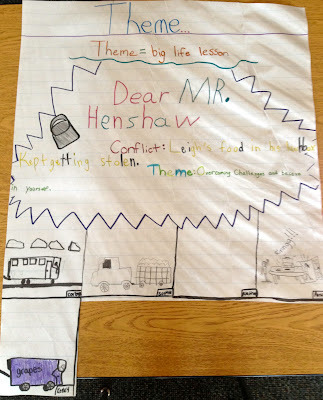 As explorers, most of the items we find are amazing...yet sometimes, we find what we don't really want to see. 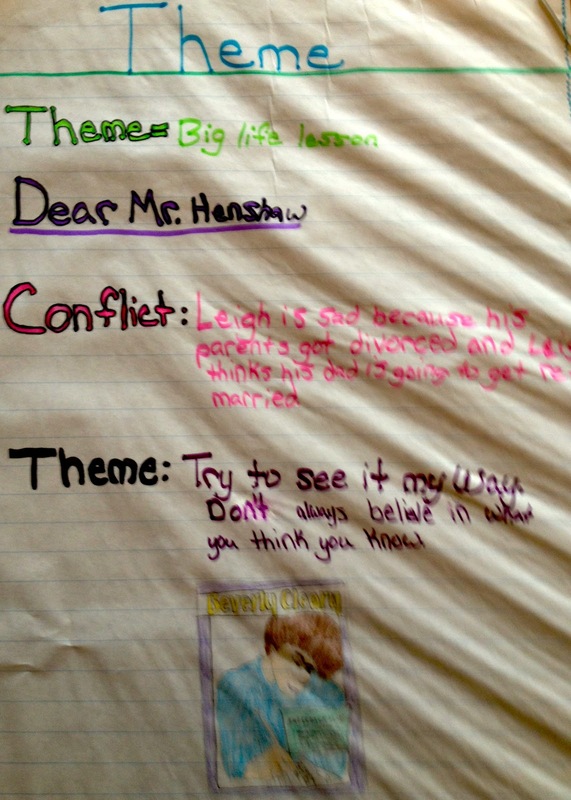 Our major focus in ELA thus far has been story characters' conflicts and resolution of those conflicts. 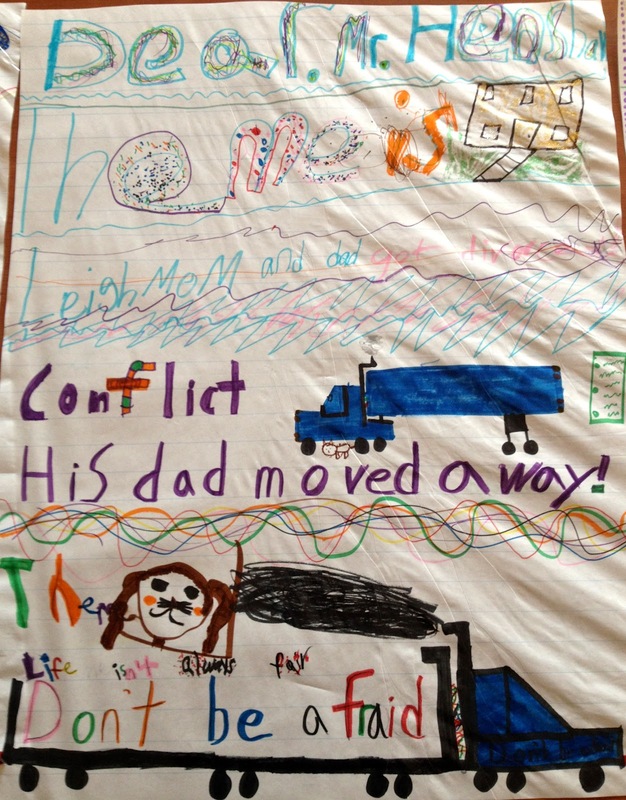 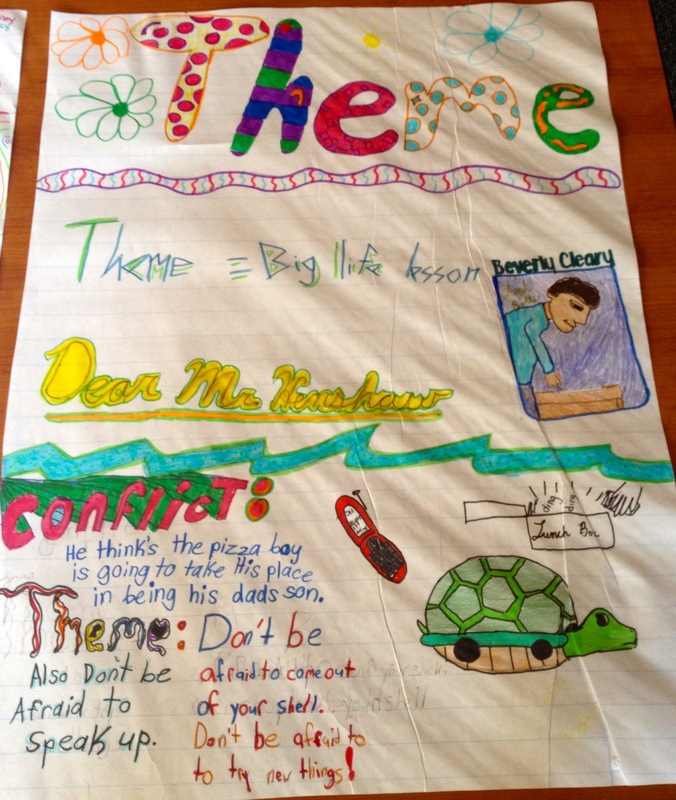 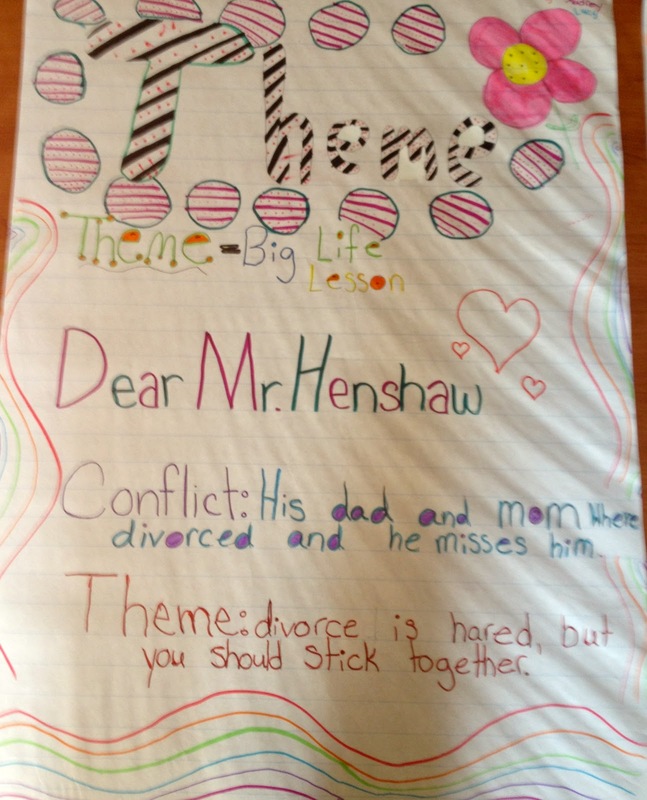 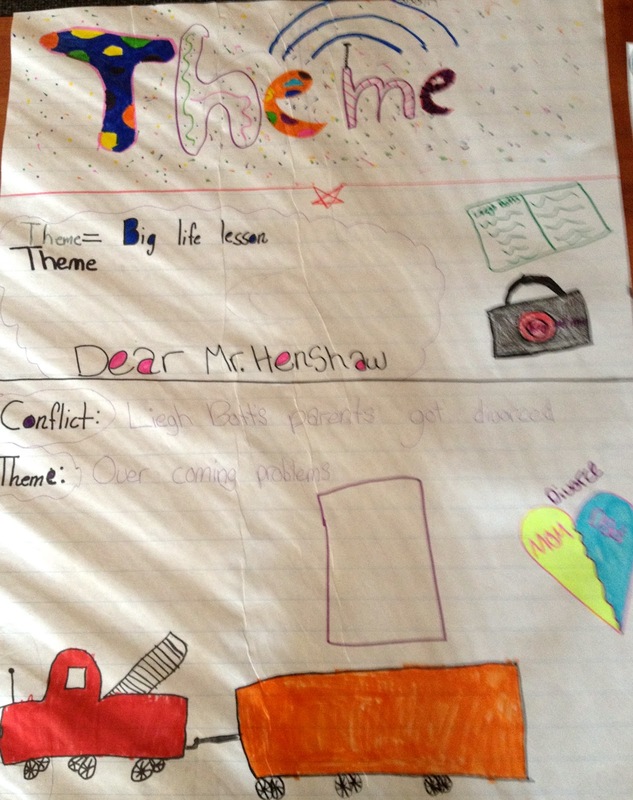 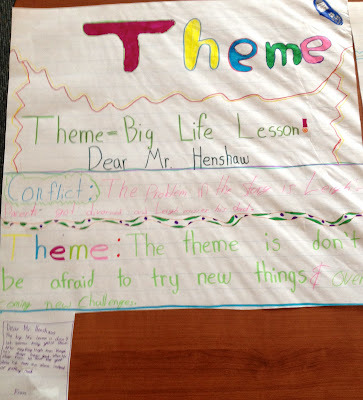 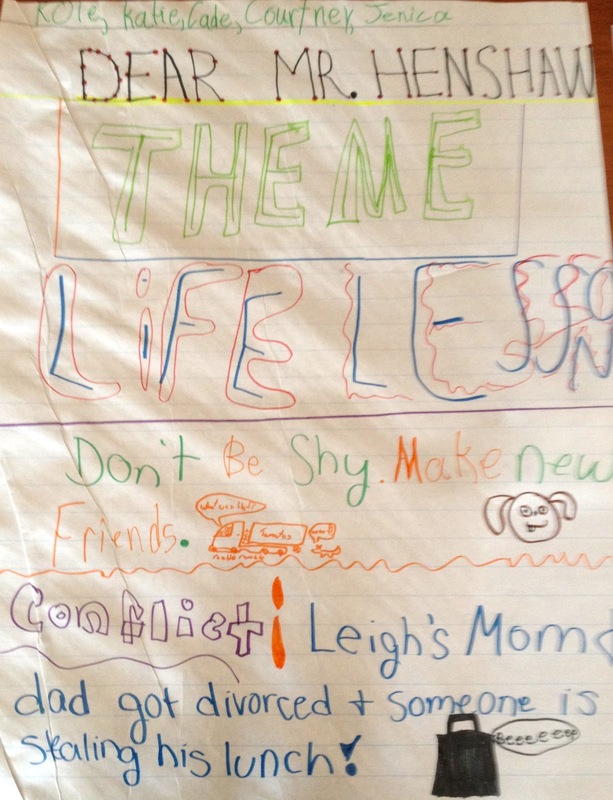 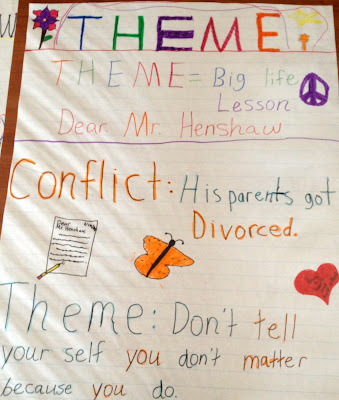 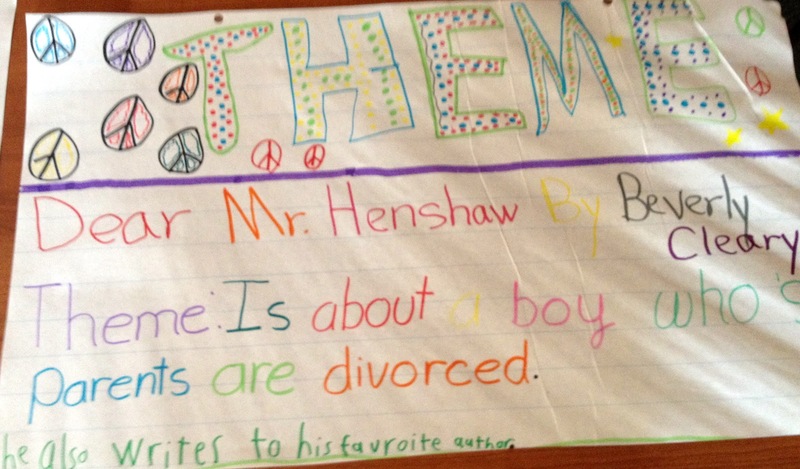 We have also searched for the Theme (big life lesson,) that the author is trying to express. In US History, we are studying the movement of people into North America, the reasons lifestyles were different in our early history based on the resources available, nomadic versus farming lifestyles and the housing choices based on each lifestyle...all tying into Exploration. 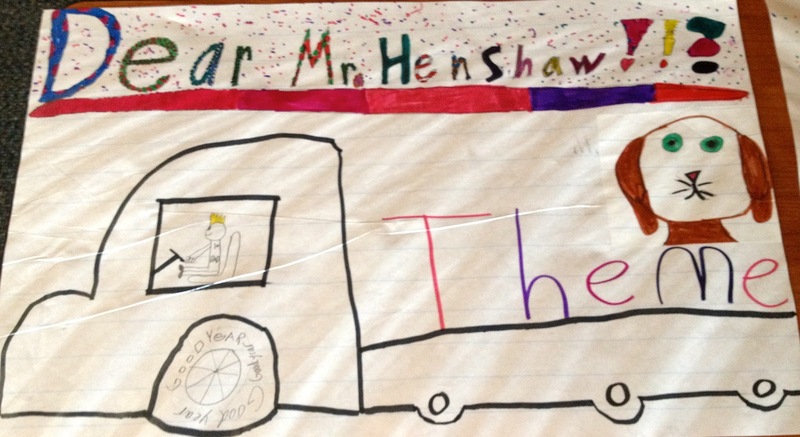 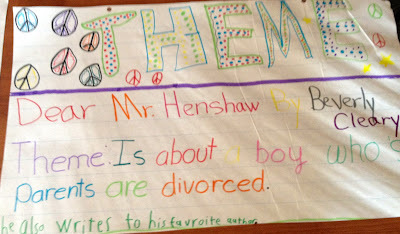 Here is a group project that we worked hard on to display the Themes and Conflict/Resolution in the novel Dear Mr. Henshaw by Beverly Cleary.